Entrust your valuable real estate to us. We'll take care of the rest. "Our goal is to provide you, the owner, with time, freedom, and a better life. All while maximizing the returns of your real estate investments." Find out how much your home could earn each month. Get suggestions for boosting your profitability. We handle your property needs, from start to finish. Let us find your next renter. We use a proven marketing formula, with traditional ads and digital listings, to connect with the widest audience of San Diego renters possible. Our management team schedules frequent inspections, which allow us to check on the health of your rental property and provide unbeatable peace-of-mind. We believe a qualified tenant is at the center of every healthy rental property. Every application we receive undergoes in-depth screening to make certain you're protected. Say goodbye to the drawn-out accounting process. We will address all of your accounting needs and generate monthly statements, which you can view 24/7 in the owners portal. Forget chasing after tenants for rent payments each month. We handle all billing tasks for you, and we quickly distribute payments we receive to protect your cashflow. Don't find yourself stuck with a bad tenant and no legal recourse. We'll guide you through the eviciton process and find a great new renter for your San Diego property. Keeping on top of your property's maintenance requirements has never been easier. We take care of all requests and coordinate with local vendors as necessary. 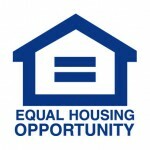 Avoid running afoul of state housing laws, local ordinances, and fair housing regulations. Our team works to keep you compliant, reducing your financial liability. Why Choose Cairncross Property Management? Discover what separates us from the "other guys"
We're always ready to jump into action on your behalf. You'll never spend hours trying to track us down. We respond to phone calls and emails on the same day, and we work overtime to ensure your satisfaction. Are you aware of the many housing ordinances, state laws, and insurance requirements that impact your property? Don't find yourself in a sticky situation. Let our property experts keep you compliant. We've helped countless tenants across San Diego over the course of our long history, and we know what renters demand from their property managers. We work to keep tenants happy, maintaining low turnover rates & putting more money in your pocket. Unlike some property managers stuck in the past, we use a number of tech tools to allow us to provide the best property management in San Diego. From epayments to repair requests, we offer 24/7 online services & stay on top of incoming messages. "Cairncross Property Management made the renting process so simple and actually enjoyable! From quick response time to being able to submit everything online, I actually felt important and valued during the rental process. Jeff efficiently communicated everything with me and I moved into my new home with ease. Thanks guys!" We know San Diego. We know property management. If you're on the hunt for the best property manager in San Diego, price isn't the only thing on your mind. Instead, you need to find a partner who will work hard to represent your best interest, finding great tenants for your property and keeping it in top shape. Of course, anybody can make big claims, so it can often prove difficult to find a management firm you feel comfortable trusting with your home. At Cairncross Property Management, we make good on our promises, plain and simple. We've been serving local property owners since 1978. 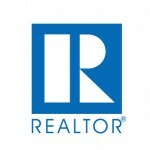 In that time, our team has grown to include some of San Diego's most knowledgeable real estate professionals. Whether you have a single property and need some outside assistance, or you're juggling a large portfolio of local rentals, we're equipped to help you meet your investment goals. Stay up to date with the latest from our team. It's easy to stay connected with us. Sign up for our newsletter and you'll receive regular updates on the latest at Cairncross Property Management.